It may seem weird that we refer to those devices in our pockets as “cell phones.” Certainly, we can all remember when their primary purpose was to make and take telephone calls; that was only just a few years ago. Still, future generations may be confused when they look at a general-purpose computer that is rarely used for audio communication and find it’s called a “phone” from the Greek word for “sound.” English is full of confusing things like that. At least in 2015, though, we understand where the “phone” part comes from. What about the “cell” part? The original phones, as we all know, were wired, and when wireless phones were first invented they relied on the marine radio network to operate. They were called “radiophones” or “wireless phones” by the very few people who had them, and like the earliest telephones they required an operator to connect two parties. By the early 1980s it was possible although rare to make calls from a device small enough to fit in a briefcase. Although these early phones could be handheld, their poor battery life and high weight meant that they were much more commonly known as “car phones,” since it made a lot more sense to wire them into a 3-ton vehicle. Still, those early phones were the first to allw people to directly call someone without operator intervention and to keep talking as long as you were within range of a broadcast tower. The key to this miracle is cellular technology. We don’t often think of the towers and wires that make our modern communications possible, but it’s the tower, not the phone, that was really the technological whiz. A team at Motorola led by John Mitchell and Martin Cooper were the first to demonstrate the idea that a phone could automatically switch from tower to tower. That’s the whole key… you wouldn’t want a phone that could only work within a mile of home. They called the individual towers “cells” because like skin or muscle cells they would be arranged in predictable patterns and together would form a larger carpet of coverage. 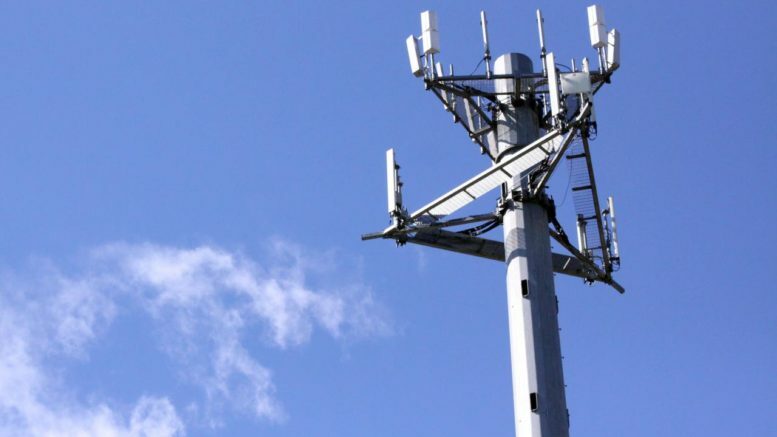 There’s a lot going on behind cell towers, but essentially it boils down to a phone constantly broadcasting its unique device identification number out to the network. This signal is often picked up by more than one tower, but one tower specifically responds to say that it will be the routing point for all the calls and data going to that phone. As you move, the signal is picked up by more towers, and as the signal gets weaker to the tower you’re using, another tower automatically takes over. This happens so quickly that you don’t even notice it. Depending on the technology used in your phone, cell towers are laid out between .5 miles and 1.5 miles from each other, with multiple towers overlapping in densely populated areas so that there’s enough capacity for anyone who wants to make a call, watch a video, or send a text. Like cells in the body, the network is laid out so that whenever possible, a damaged cell doesn’t bring everything down. If one cell fails others will take over the load. Back in the early 1990s, though, people still didn’t know what to call this magical technology. I remember them being called “mobile phones,” “wireless phones,” “handheld phones,” and rarely “cellular telephones.” By the late 1990s folks here in the US had settled on “cell phone” or just “cell” while people in other parts of the world had settled on using “mobile” instead. So it may technically be a lot more than a phone but it’s still cellular. It may not be moving at the moment but it’s still part of the cellular network. I think we picked the right nickname even if it takes a little bit of explaining.